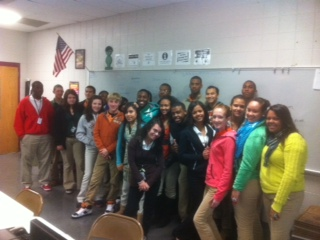 What a good looking bunch!! 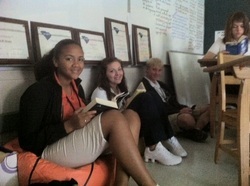 New sophomores, Monee, Taylor, Evan, and Lilly (left to rt) take a break for reading. 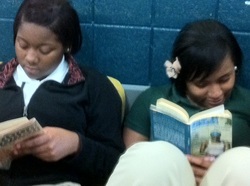 Magan enjoyed the chance to relax and read. 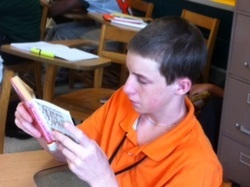 Nick, #5 on the Gator Varsity football team takes time out to read. 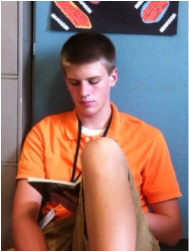 Lane enjoys a book about the civil war. 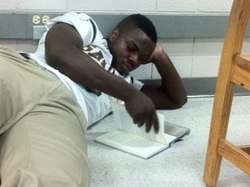 Kenneth takes a book break 4th period. 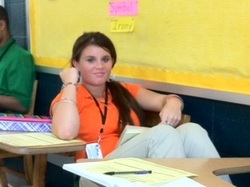 Welcome to your sophomore English class. For the next five months, we will become proficient writers of essays, confident readers of literature, and students with more powerful vocabularies. 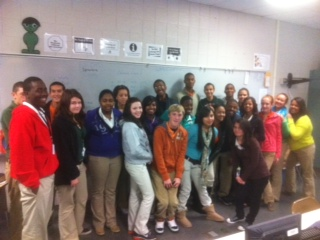 Our site will make your semester more successful and less stressful. For this class you will need one three ring binder and paper (1 1/2 inch is fine), red pens, highlighters, and one composition book for students in my third and fourth periods. 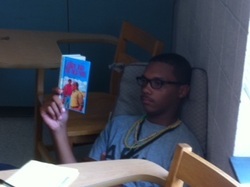 Scott relaxes with a good book. 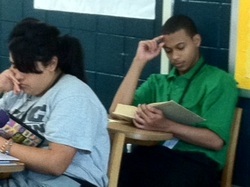 Elisa and Jonathan enjoy book break during 4th period. 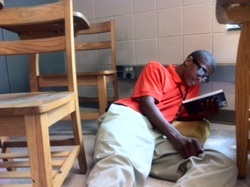 Abreon relaxes during our first book break.